Tasteful and timeless, this classic rosette set offers enduring style and quality at an affordable price. 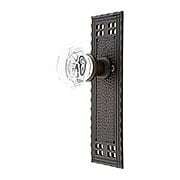 The traditional round rosettes compliment every decor, while the silvered glass adds a sparkling accent to your doors. 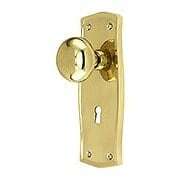 Solidly constructed of forged brass in four traditional finishes. 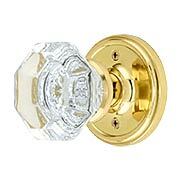 Period perfect octagon glass knobs add a refined note to our rugged craftsman door set. Pacific Hardware of Los Angeles created this distinctive window-pane pattern, known as "Bastile", around 1912. We've recreated their hand-crafted design for your home in heavy-duty cast brass. A deep, oiled-bronze finish completes the authentic look. Period perfect octagon glass knobs add a refined note to our rugged craftsman privacy set. Pacific Hardware of Los Angeles created this distinctive window-pane pattern, known as "Bastile", around 1912. We've recreated their hand-crafted design for your home in heavy-duty cast brass. A deep, oiled-bronze finish completes the authentic look. 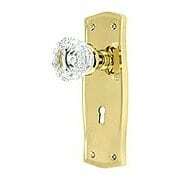 Cheerful glass knobs sparkle against the rugged back plates of our vintage craftsman mortise lock door set. Pacific Hardware of Los Angeles created this distinctive window-pane pattern, known as "Bastile", around 1912. 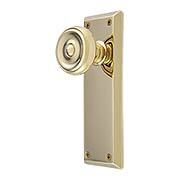 We've recreated their hand-crafted design for your home in heavy-duty cast brass, with a rich, oiled-bronze finish. Cheerful glass knobs sparkle against the rugged back plates of our vintage craftsman door set. Pacific Hardware of Los Angeles created this distinctive window-pane pattern, known as "Bastile", around 1912. 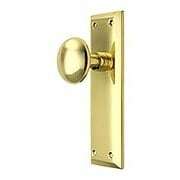 We've recreated their hand-crafted design for your home in heavy-duty cast brass, with a rich, oiled-bronze finish. Cheerful glass knobs sparkle against the rugged back plates of our vintage craftsman privacy set. Pacific Hardware of Los Angeles created this distinctive window-pane pattern, known as "Bastile", around 1912. We've recreated their hand-crafted design for your home in heavy-duty cast brass, with a rich, oiled-bronze finish. 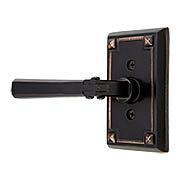 Simple and shining round glass knobs lighten the rugged character of our Craftsman mortise lock set. Pacific Hardware of Los Angeles created this distinctive window-pane pattern, known as "Bastile", around 1912. We've recreated their hand-crafted design for your home in heavy-duty cast brass, with a rich, oiled-bronze finish. Simple and shining round glass knobs lighten the rugged character of our craftsman door set. Pacific Hardware of Los Angeles created this distinctive window-pane pattern, known as "Bastile", around 1912. 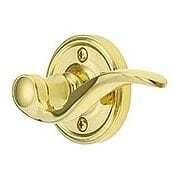 We've recreated their hand-crafted design for your home in heavy-duty cast brass, with a rich, oiled-bronze finish. 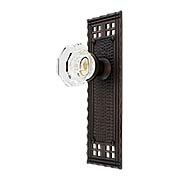 Simple and shining round glass knobs lighten the rugged character of our craftsman privacy door set. Pacific Hardware of Los Angeles created this distinctive window-pane pattern, known as "Bastile", around 1912. 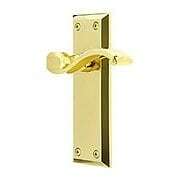 We've recreated their hand-crafted design for your home in heavy-duty cast brass, with a rich, oiled-bronze finish. Inspired by the hand-crafted Mission hardware in vogue around 1900, this distinctive door set is ideal for new construction in the Craftsman style. 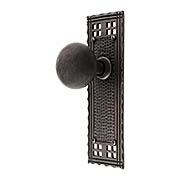 The striking pyramid rosettes and oval knobs have a ruggedly hammered texture, to simulate the handwork of individual artisans. Copper plating over forged brass, and a dark bronze finish, complete the authentic look (satin nickel also available). Exquisite crystal knobs brighten the understated formality of this circa 1899 Russell & Erwin design. The reserved back plates, embellished with nothing more than a simple double border, complement every interior, from authentic Arts & Crafts to the most formal French classical. 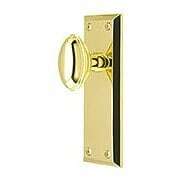 Originally cast in bronze, this antique recreation is finely forged from solid brass. Designed in the Louis XVI style by Russell & Erwin around 1899, the Belmont is one of our most versatile door sets. The reserved back plates, embellished with nothing more than a simple double border, work with everything, from authentic Arts & Crafts to the most formal French classical. Originally cast in bronze, this antique recreation is finely forged from solid brass. Shining crystal knobs brighten the understated formality of this circa 1899 Russell & Erwin design. The reserved back plates, embellished with nothing more than a simple double border, complement every interior, from authentic Arts & Crafts to the most formal French classical. 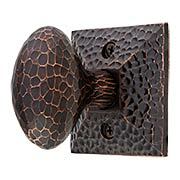 Originally cast in bronze, this antique recreation is finely forged from solid brass. "Refined simplicity" defines the timeless style and charm of Grandeur's Georgetown rosette set with Bellagio levers. Grandeur's vintage designs are enhanced with high-tech mechanics, resulting in silky smooth, trouble-free operation unlike anything you've ever experienced. 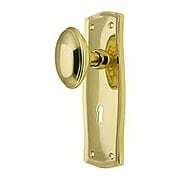 Superior forgings and a 10 year warranty make Grandeur the perfect choice for your fine home. Austere porcelain knobs are the perfect compliment to this tailored and understated "New York" mortise lock set. Whether your style is Victorian, Craftsman, or Colonial-Revival, this classic design will be the perfect period accent for your doors. 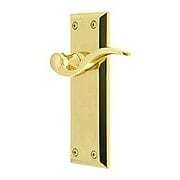 Finely crafted for your home in lasting and durable forged brass. The simple, homey look of our Prairie mortise lock set makes it a wonderful choice for your craftsman, cottage or colonial style home. 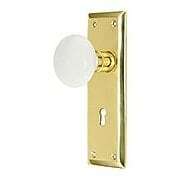 The comfortable oval knobs and sturdy back plates are forged from solid brass, with your choice of five traditional finishes. 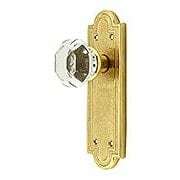 A high quality, English- made skeleton key lock completes the vintage look. The simple, homey look of our Prairie mortise lock set makes it a wonderful choice for your craftsman, cottage or colonial style home. The comfortable round knobs and sturdy back plates are forged from solid brass, with your choice of five traditional finishes. 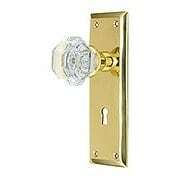 A high quality skeleton key lock completes the vintage look. 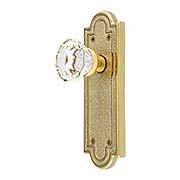 Simple and homey, with cheerful crystal knobs, the Prairie mortise lock set is a great choice for any craftsman, cottage, or colonial style home. 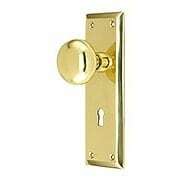 The sturdy back plates and knob bases are forged from solid brass, to provide years of enduring quality and enjoyment.